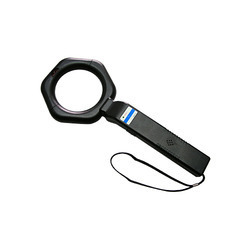 We offer wide assortment of Portable Metal Detector. Our wide range is based on latest technology and integrated with excellent features such as high sensitivity, alarm, rechargeable battery and many more and can be adjusted as per the requirement. The range of best performing Walk Through Metal Detector, that we offer are based on superior pinpoint technology and known amidst clients for their unmatched discrimination and sensitivity features. 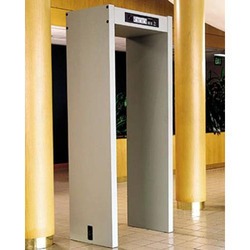 Our walk through metal detectors are compact & lightweight making them portable unit and adaptable to any surroundings. The design of our walk through metal detectors are aesthetic and well suitable for the most discrete applications. These security equipment do not require any special training and are very user friendly. Optimum immunity to environmental interference and external stationary metal.